Oregon Law doe not require a license to practice counseling with the credentials and experience Claire has. Because of her professional experience in the healthcare system and her desire to honor your confidentiality, Claire does not take health insurance. She feels your mental health is your business, not something for diagnosis and inclusion in your permanent medical record or the eyes of insurance company auditors. She also knows that when you are footing the bill, you're sure to make better use of and get more out of your time together! Claire Sierra, MA, LFT is a soul alchemist who guides women-- often spiritual healers and holistic practitioners--to create lives and work that are in alignment with their deeper calling. An experienced Expressive Arts Therapist, Claire weaves creative, holistic tools into therapy to help women who feel lost and confused about their life direction. She untangles soul knots with deep listening, compassionate inquiry, and simple practices to connect to your divine guidance for clarity and confidence about your true path. 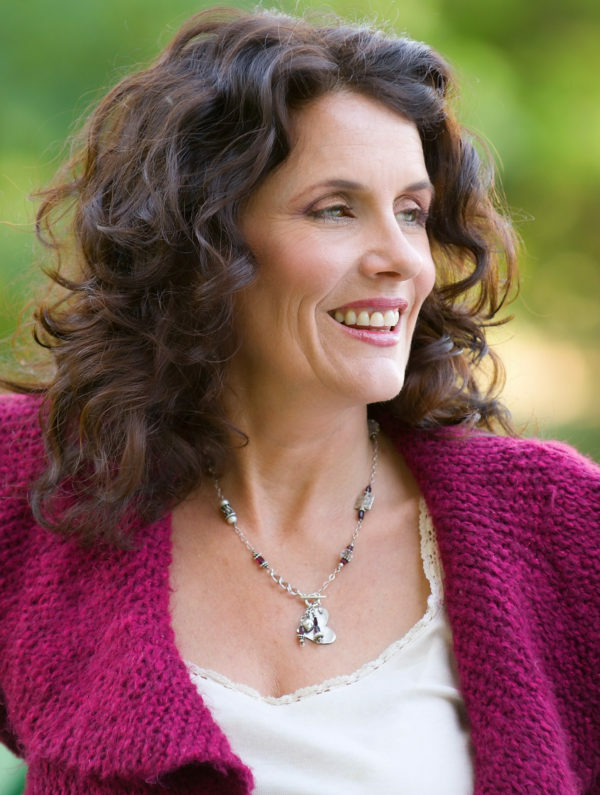 With over 22 years of clinical therapy experience in private practice, community mental health clinics and hospitals, she has facilitated hundreds of creative, inspiring transformations with her grounded, practical, expansive, soulful approach. 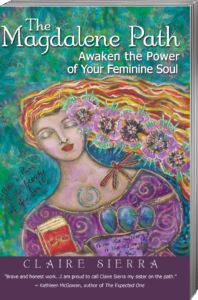 Her deep connection with the Feminine Mysteries her to write The Magdalene Path - Awaken the Power of Your Feminine Soul, published by a division of Hay House. An inspiring contemporary guidebook for soulful women, it reveals the timely importance of reclaiming the Divine Feminine through the lost mysteries of Mary Magdalene. The Magdalene Path offers powerful tools and experiences to re-balance from the overpowering effects of the dominant masculine mindset of our culture. Discover the life of ease, grace and creative flow that is our birthright as women. A guide of Feminine Soul as an embodied path of empowerment, Claire can help you shift out of depression, anxiety, overwhelm and burnout to awaken your inner priestess and claim your Feminine Soul power--just like she has with thousands of other women. 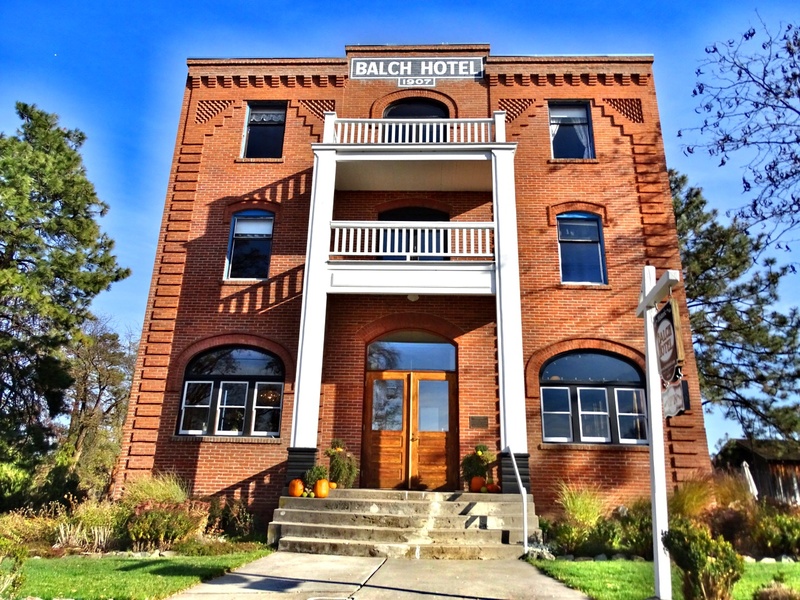 Claire works in person and virtually with women around the world, offering private & group retreats and individual sessions at The Historic Balch Hotel. A boutique, award-winning destination inn nestled in the rural hills of the Columbia River Gorge, Oregon, which she co-owns with her hotelier husband. With additional training as a Certified True Purpose Coach, Licensed Esthetician and Reiki Energy Healer, she offers Bliss at the Balch Spa & Wellness Programs, customized sessions and retreats for deep replenishment at her cozy spa temple office. In her free time Claire explores the Gorge and creates visionary mixed-media art, exhibited in the gallery of the Balch Hotel and in The Magdalene Path and The Goddess Coloring Book.You can see more in this online gallery. To make an appointment with Claire, set up a Bliss Breakthrough Consultation Session HERE. Choose a time to meet and fill out the short questionnaire. For FREE resources to support your Feminine Soul journey, start HERE. To contact Claire for a speaking engagement or other inquiries, email: Info (at) MagdalenePath.com. We’ll be happy to get back to you ASAP.